I had a date last night with some Instagram friends, most of whom I had only chatted to via messages online. I was as excited as a two-year-old who had broken into the sweetie jar and eaten a week’s supply of chocolate. With a headache to match. The temperatures had just turned Baltic, and suddenly my tulle and lace skirt with sleeveless mesh knit no longer seemed like the best outfit for the night. Last minute go-to? A vintage Schrader midi floral shirt dress with a bright print and a delightfully swishy skirt. Feel-good fashion. Easy glamour. The dress doesn’t even need ironing. Perfect in every way possible. My vintage Schrader dress was an accidental find in a charity shop, that I never go to. I was looking for some props for a Vintage afternoon tea party and ran into the shop looking for teapots to serve the cocktails from. Whilst I was there, I figured it would be rude not to do a swift rummage through the dress rail. Right there, next to the Biba dress I picked up for the tea party, was this wonderfully patterned dress. 70’s looking I thought, but the Schrader label would suggest that it is more 80’s. I certainly didn’t need it for the tea party, but it was so colourful and beautiful, I had to buy it. It remained in my wardrobe for a year before I wore it out for a friend’s birthday. Traffic stopping. Literally, as it billowed dramatically in a blur of colour over my head in Regent Street. It was a hit. And it still is every time I wear it. 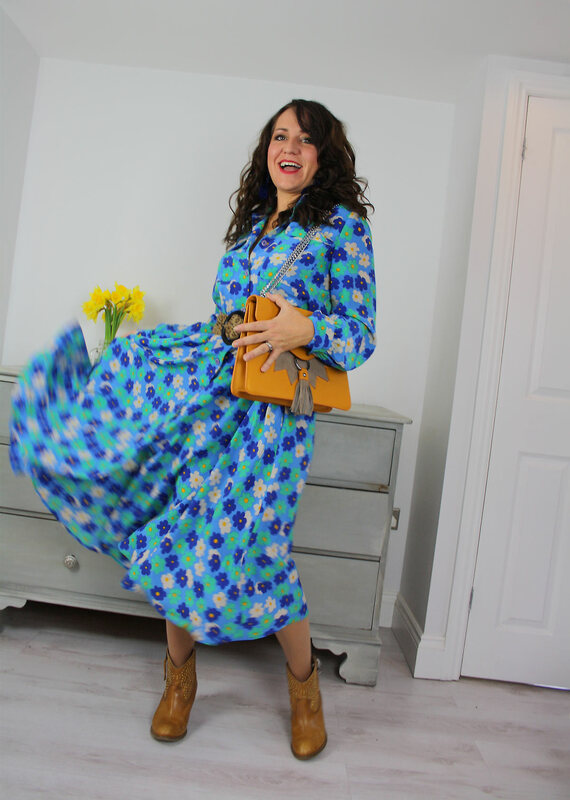 Wanting to share the love of having a dress for spring that you can dress for any occasion, I have found a few with which you can achieve a similar effortless look. I am not going to say very much about each one, they all speak volumes by themselves, but the green floral Vintage inspired Billie Ella Dress from Ghost is to die for. Need I say more? The Boden Sybil floral dress is also pretty special, but if the price tag is a little steep, then look. Just look below. Yes, the Stradivarius dress is pretty similar (and bloody awesome) at a fraction of the price. Guess where you might find me on Monday morning. Crazy woman banging on the doors of the heavily scented Stradivarius shop. I like Next’s mustard floral dress for its brighter colour, and the short sleeve makes it a little more summer friendly. 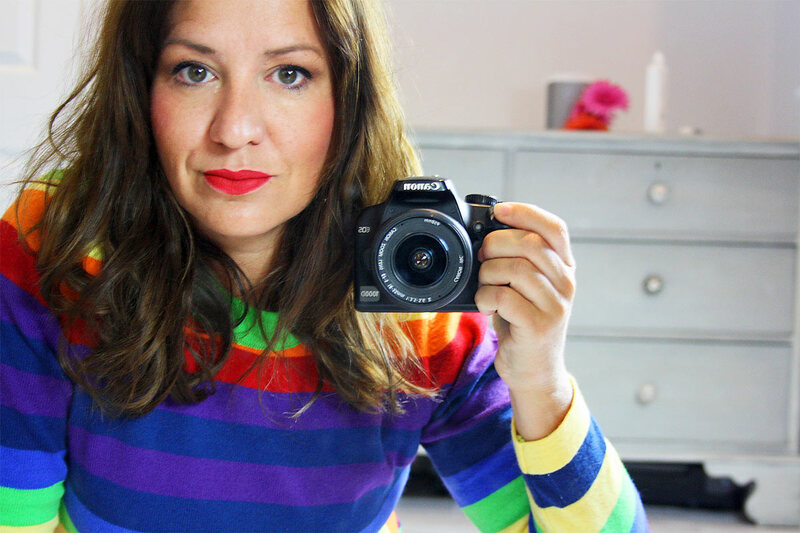 You can slip a roll neck underneath whilst the temperatures taunt us with snow. For a slightly floatier, feminine option, the Asos Selected Floral Midaxi is a good one. Midaxi? Never heard it before. It’s new to me, but I guess it makes sense. It’s not a midi, it’s not a maxi. It’s a midaxi. Will it become a thing (other than in the description of this dress)? 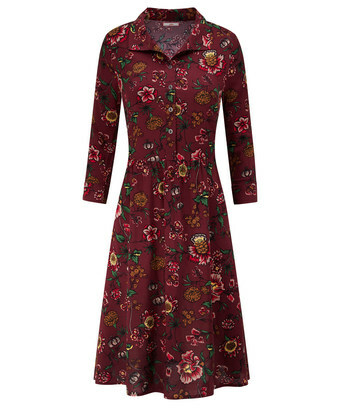 Let’s talk about the burgundy dress from Joe Browns I have to say: absolutely bloody love. It has a real vintage-looking quirky charm in a slightly, almost-off-putting mumsy (think your grandmother wearing her curtains turned into a dress) kind of way. But it works. Retro sofa chic. It’s quite dark considering the bright trend for this season, BUT, it has some gorgeous colours hiding in that dark base which will look AMAZING with some bright accessories. Did I mention that I LOVE this one? And if your budget is a little bit bigger or you want to invest in that one favourite floral dress for your wardrobe this year, then I would go with Ridley London’s Madalena dress. Beautiful, charming, colourful investment piece. I am having difficulties deciding which one is my favourite. Which one would you choose? 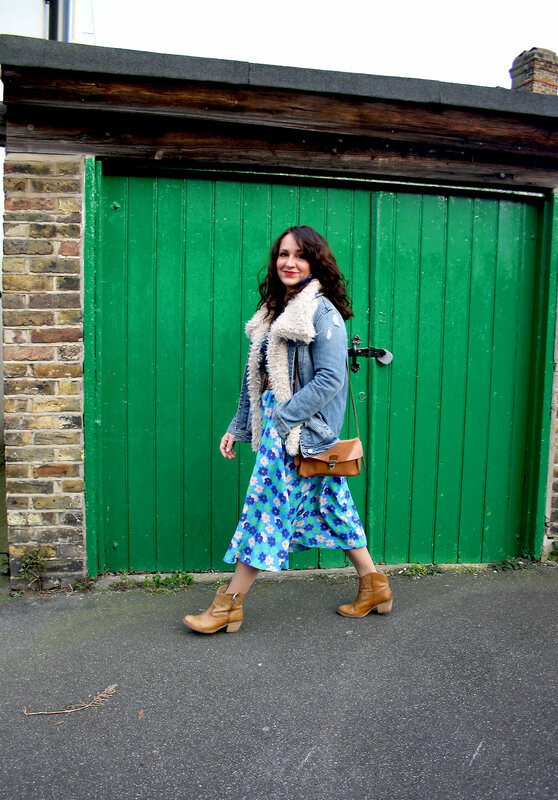 I defenitely love the Boden dress! Isn t it the best to meet other influencers!